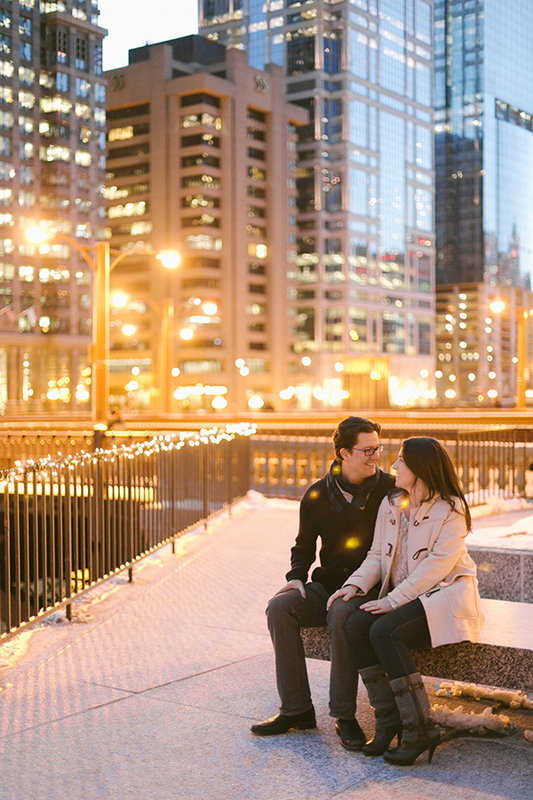 Two of my very favorite city lovebirds, Aileen + Kevin, are getting married in Chicago during the summer of 2014. We spent a wintered, glittering afternoon together, trying to stay warm and loving every minute of a very Chicago December day. A visit to Optimo Hats and the Monadnock building was followed by a walk along the chilly river, with a final stop at Travelle for a whiskey warm-up. Congrats, you two!